In the configuration app I am unable to activated the SODE. I followed the directs for the SODE installation and it does not activate. 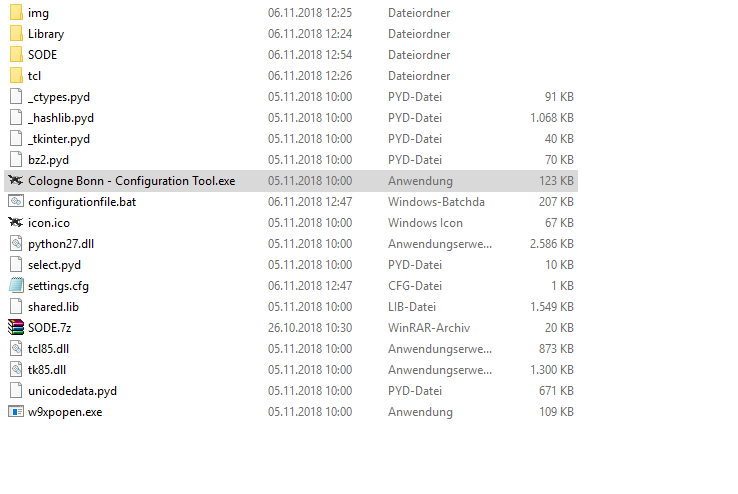 Hi, can you show me a screenshot of what's inside your "...\Cologne-Bonn Professional\Configuration Tool\Library" folder? You need to put SODE folder from the zip file to ...\Cologne-Bonn Professional\Configuration Tool\Library folder. Then you can activate it with the configurator. Great scenery btw Thank you! The SODE jetway is blacked out. I think that the SODE.7z folder isn't correct. After unzipping this file i saw that there is another SODE folder inside the SODE folder. Moving these files from the inside SODE folder to the main SODE folder solved my problem. 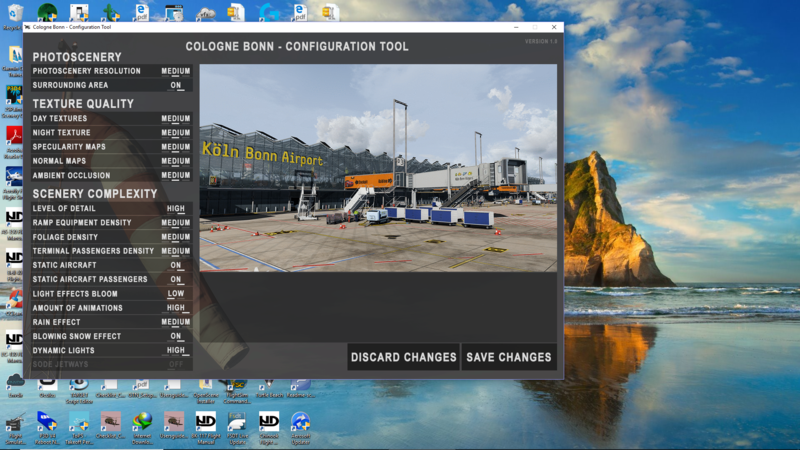 Then when running the configurator i could set SODE JETWAYS to On or Off. Looks like an extra folder can be created depending on the tool / settings used to extract the file, make sure the SODE folder placed in the "Library" folder only contains the "SODEScenery" and "XML" folder + the EDDK_Config_SODE.cfg as @Ad mentioned above, I'll make sure the file is updated tomorrow to remove this issue. I just used WinRAR and open the SODE.7z file and dragged the SODE folder to the correct location and works like a champ. When I´m unzip with 7zip I got this error message and no new SODE folder is created. See attachment. Here's the adjusted SODE files for EDDK. The C:\Program Files is maybe not the best destination to install addon scenery products. This folder is under control of the UAC and this may protect the unpack of the file. That's true, changed the file to a regular zip file. Thanks, I`ve changed the installation to another SSD location awy from UAC. It´s ok. But 7z is still my "house zip-programm"
I copied the SODE folder into it but it is still blacked out. Is it maybe because i dont own gsx level2? I got the message "Aircraft Door Out of Range" at some Gates. I used GSX with A320. Temporarily you can help your self, when turning on the Slew Mode in P3d and slew the Aircraft forward to be nearer to the Jetway and then turn off the Slew Mode. Now the Jetway should work. But there is a Patch needed, that make all Jetways functional without slewing around. Thank you. But it isn't a very got solution. Another problem at B-Gates using FSLabs A319. GSX said Aircraft Parking Position is too small. It is very bad to sell a new scenery where users have to edit everything. Any without editing it doesn't work correctly. If you select a wider gate size in the AFCAD AI planes might crash into another at those gates. The P3D AI engine is dumb, it will simply crash aircraft into one another or even into the user if the gates are big enough.